Her commissions include Conspirare, The Minnesota Orchestra, the American Choral Directors Associations of Minnesota, Georgia, Connecticut and Texas, the North Dakota Music Teacher’s Association, Cantus, the Boston Brass, The Metropolitan Symphony, and The Houston Chamber Choir, among many others. She is currently an artist-in-residence at North Dakota State University and regularly composes for their ensembles. For ten years she was a composer-in-residence for the professional choir she also sang in: The Singers, under the direction of Matthew Culloton. Her music has been performed all over the world, including Carnegie Hall and Lincoln Center in New York City. Her work is independently published through JH Music, as well as Graphite Publishing, G. Schirmer, Santa Barbara Music Publishing, Fred Bock Music Publishing, and Boosey and Hawkes. Visit www.jocelynhagen.com for more information and a complete catalog of works. Jocelyn Hagen	medium voice, Difficulty : 4, 10+ min. Jocelyn Hagen	mixed choir, Difficulty : 3, piano, less than 3 min. Jocelyn Hagen	mixed choir, Difficulty : 3, piano, 3-5 min. Jocelyn Hagen	mixed choir, Difficulty : 4, a cappella, 3-5 min. Jocelyn Hagen	high voice, Difficulty : 5, 1-2 instruments, percussion, 10+ min. 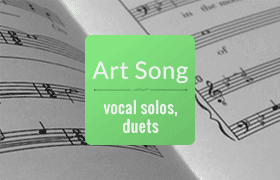 Jocelyn Hagen	mixed choir, Difficulty : 3, a cappella, 3-5 min. Jocelyn Hagen	mixed choir, Difficulty : 3, 1-2 instruments, piano, less than 3 min. Jocelyn Hagen	mixed choir, Difficulty : 4, 1-2 instruments, piano, 5-10 min. Jocelyn Hagen	treble choir, Difficulty : 3, chamber ens., 10+ min. Jocelyn Hagen	treble choir, Difficulty : 2, 1-2 instruments, piano, 3-5 min. Jocelyn Hagen	mixed choir, Difficulty : 5, a cappella, 5-10 min. Jocelyn Hagen	high voice, Difficulty : 4, 1-2 instruments, 3-5 min. How Do We Know the Light Will Come Back? Jocelyn Hagen	treble choir, Difficulty : 3, 5-10 min. Jocelyn Hagen	treble choir, Difficulty : 4, chamber ens., 10+ min. Jocelyn Hagen	Difficulty : 3, 3-5 min. Jocelyn Hagen	treble choir, Difficulty : 4, 1-2 instruments, piano, 3-5 min. Jocelyn Hagen	Difficulty : 4, 1-2 instruments, less than 3 min. Jocelyn Hagen	treble choir, Difficulty : 3, piano, 3-5 min. Jocelyn Hagen	medium voice, Difficulty : 3, 1-2 instruments, less than 3 min. Jocelyn Hagen	treble choir, Difficulty : 4, percussion, piano, 3-5 min. Jocelyn Hagen	mixed choir, Difficulty : 3, 5-10 min. Jocelyn Hagen	mixed choir, Difficulty : 3, percussion, piano, 3-5 min. Jocelyn Hagen	treble choir, Difficulty : 3, percussion, piano, 3-5 min. Jocelyn Hagen	medium voice, Difficulty : 4, piano, 3-5 min. Jocelyn Hagen	treble choir, Difficulty : 3, 1-2 instruments, piano, less than 3 min. Jocelyn Hagen	treble choir, Difficulty : 4, a cappella, less than 3 min. Jocelyn Hagen	mixed choir, Difficulty : 5, a cappella, 3-5 min. Jocelyn Hagen	high voice, Difficulty : 5, 1-2 instruments, 5-10 min. 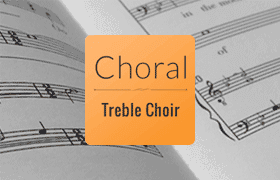 Jocelyn Hagen	treble choir, Difficulty : 4, chamber ens., 3-5 min. Jocelyn Hagen	medium voice, Difficulty : 3, piano, less than 3 min. Jocelyn Hagen	mixed choir, Difficulty : 4, 1-2 instruments, piano, 3-5 min. Jocelyn Hagen	mixed choir, Difficulty : 5, chamber ens., large ensemble, 10+ min.